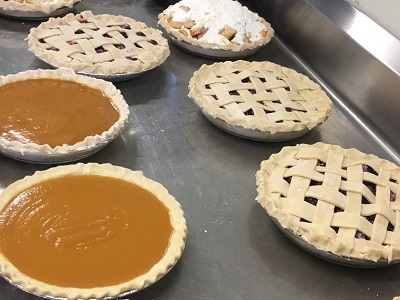 “Serve” is one of the four pillars of the mission of the Congregational Church of Hollis and we are deeply committed to and receive tremendous fulfillment in so doing. This is evidenced by the budget and the work of the Mission & Action Board and all of the organizations and assistance provided by the church through that board. 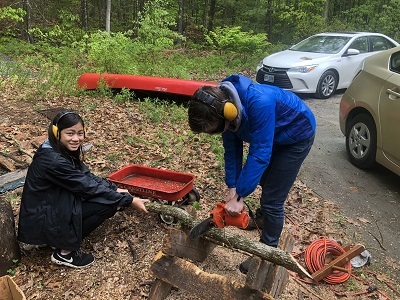 It is also demonstrated through our decades of commitment to and enjoyment in participating in a week-long summer Mission Work Camp Trip. Featherfood Sunday – Sunday School children bringing in perishable food for Thanskgiving food boxes as assigned on the “feather” they received a couple of weeks prior. 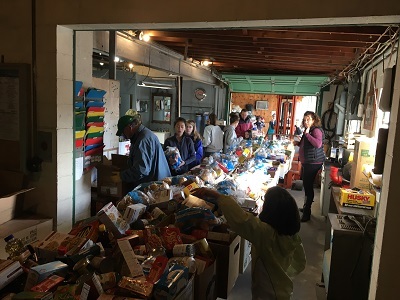 Confirmation and pre-confirmation youth (7th – 9th graders), as well as the church Deacons, other adult church members and even some children volunteers sorting through thousands of donated canned and boxed foods (gathered by through the Scouting for Food program). They then distribute the sorted food into the food boxes ensuring each family receives a balanced assortment of items. Church Deacons delivering lilies and daffodils at Easter, and poinsettias at Christmas, to church member shut-ins. Donating bags and bags and bags full of requested items for the Mission & Action Item of the Month including countless Christmas gifts fulfilling Christmas wish lists for local children and families. Financial donations to the annual offering to raise money for fuel and food assistance to local families in need. 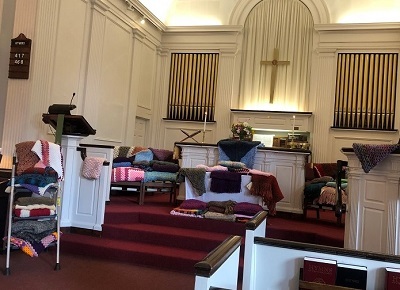 Knitting and crocheting many dozens of beautiful prayer shawls for the Mission Work Camp Trip attendees to give to the families whose homes the will be working on. 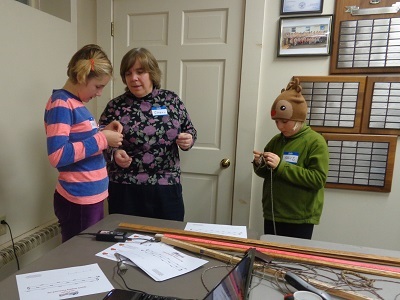 Planning, shopping for and preparing dinner once a month for the Ash Street homeless shelter in Nashua. Sunday School children and Pre-Confirmation youth, along with many adult church members, have all participated in this. 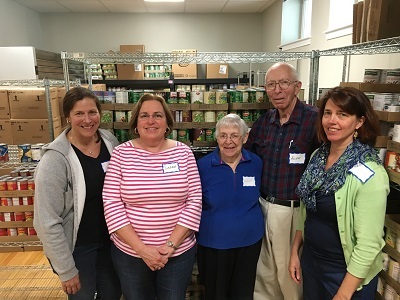 Volunteering to help at the Nashua Soup Kitchen food pantry during their hours open to the public. Fundraising for and participating in Meals on Wheel Walkathon and CROP Hunger Walk. 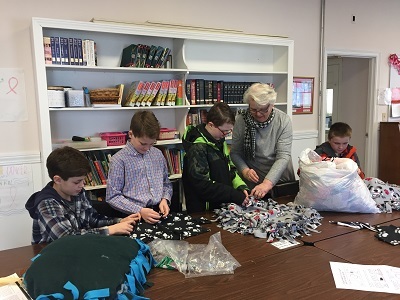 Advent Celebration service crafts, such as fleece balls for The Stork Project, dog & cat toys for shelter animals, patriotic cinnamon stars and Christmas cards for our veterans, kindness rocks, stuffed socks for the homeless, and holiday decorations and cookies for shut-ins. 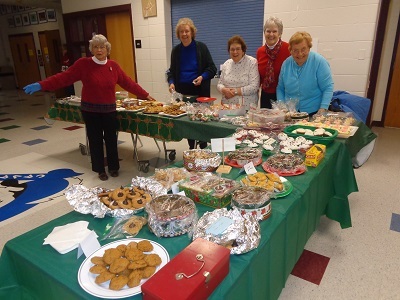 Thousands of combined volunteer hours planning, organizing, crafting, baking, and running the annual Christmas Fair enjoyed by members of the church, Hollis residents, and the surrounding communities. 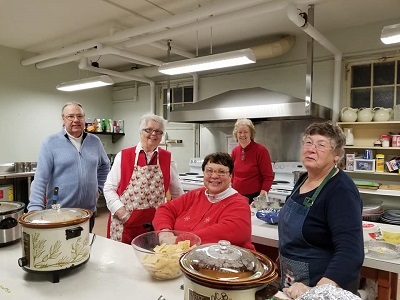 Making chili and cornbread and manning our fellowship hall during the Hollis Luminary Stroll so strollers can stop by and enjoy some hot food during their winter stroll. Christmas caroling at local seniors’ homes and delivering poinsettias. 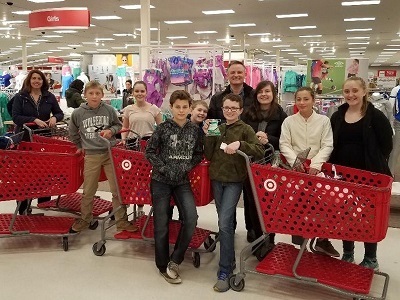 Confirmation and Pre-Confirmation (7th– 9th graders) gathering food and clothing donations for the food pantry and clothes closet at Nashua High School which provides snacks and clothing for students in need. Mission Trip attendees volunteering their time to do spring yard cleanup for local residents as a Mission Trip fundraiser. 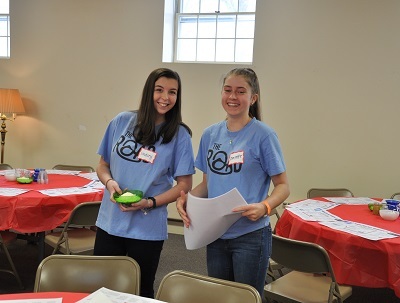 Mission Trip attendees volunteering their time to plan, organize, prepare as well as provide musical entertainment for a spaghetti dinner fellowship event Mission Trip fundraiser. Sunday School children making dog beds given to the local animal shelter, made from fleece donated by church members. Participating in Hollis road cleanup day. Filling out hundreds of holiday cards as part of a town-wide effort to send cards to deployed soldiers and sailors. Service is the outward manifestation of our inward commitment to God’s teachings and the active demonstration of our Common Commission. We believe our church is strengthened when we find opportunities to support the homeless, feed the hungry, heal the sick, and care for our neighbors, our congregation and our church. We promote service as a Christian calling and responsibility for everyone and provide encouragement and support to each individual to discover an area of service that animates them. We believe that we are all called upon to graciously and humbly give of our time, talent, and treasure as often and generously as possible.